Yao Shuo can still recall the time he first watched the Hong Kong movie, A Chinese Ghost Story, in his university dormitory along with classmates. He was impressed by the comic horror story, the performance of the leading actors, Leslie Cheung and Joey Wong, and one of the songs from the film by the same name and performed by Cheung, has become one of his favorites. 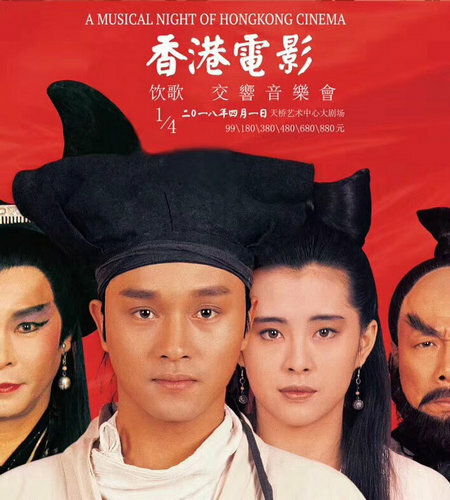 Since then, he has become a big fan of Hong Kong films, such as Once Upon a Time in China series, which is based on the stories of Cantonese martial artist Wong Fei-hung. 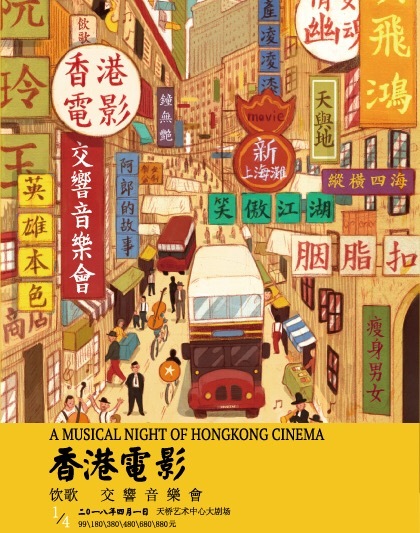 Now, the 38-year-old Yao has brought all his memories about Hong Kong films into his latest musical project, entitled A Musical Night of Hong Kong Cinema, which premiered in November in Zhuhai, Guangdong province, and will be staged at Beijing's Tianqiao Performing Arts Center on April 1. 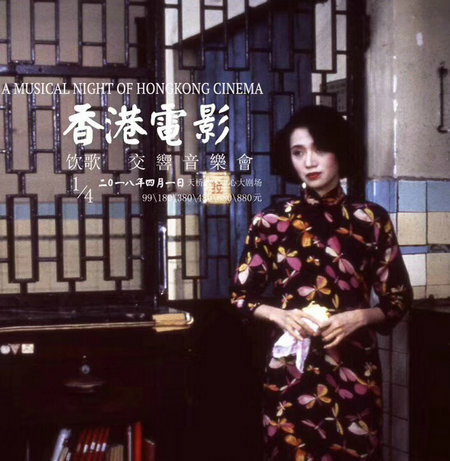 The audiences can enjoy film scores from 12 classic Hong Kong films, including director Stanley Kwan's movies, Center Stage (1992), starring Maggie Cheung, who won the best actress award at Berlin International Film Festival of that year for portraying the famous Chinese actress Ruan Lingyu (1910-1935); Rouge (1988), starring Anita Mu and Leslie Cheung; and The Legend of the Swordsman (1992), directed by Ching Siu-tung and starring Jet Li and Brigitte Lin. "For Chinese audiences, especially those who were born in the 1970s and 1980s, Hong Kong films were a big part of their youth," says Yao. "From the feedback of the audience, who attended the premiere of the concert in Zhuhai, we were convinced that the audience shares this nostalgic mood and the music conjures up memories." Yao started planning the concert last year, which marked the 20th anniversary of Hong Kong's return to China. And he invited the China Film Orchestra to perform the film scores. Then, along with the musicians, he narrowed down the 100 Hong Kong films on their list to about 20. He later traveled back and forth between Beijing and Hong Kong to acquire permission from film companies, who hold copyrights for the Hong Kong films, since his vision for the concert was not only about performing music but also covering the footage of the films. "We don't just play the films on screen. We re-edit them to match the music, which has been rearranged by 10 composers," says Yao. According to Fan Tao, the conductor of China Film Orchestra, which has a history of 67 years, he is also a big fan of Hong Kong films, especially the martial arts films. 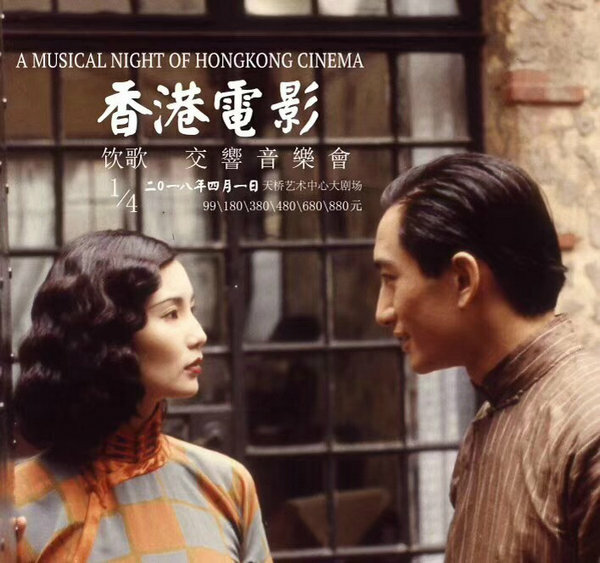 And one of his favorite Hong Kong actors is Leslie Cheung (1956-2003), the award-winning singer-actor. "The Beijing concert will pay tribute to this great actor," says Fan. And he adds that as he has composed for movies and TV dramas, this has enabled him to understand the importance of music for films. "The idea of hearing these memorable scores in a concert hall is exciting," he says. Speaking about the public response, Yao Liang, the principal violinist of China Film Orchestra, says: "I remember vividly that the audience in Zhuhai sang along with our performance because they are very familiar with these film scores. "So, by adapting film scores, we gave the audience a chance to enjoy classical music." Yao Shuo can still recall the time he first watched the Hong Kong movie "A Chinese Ghost Story."